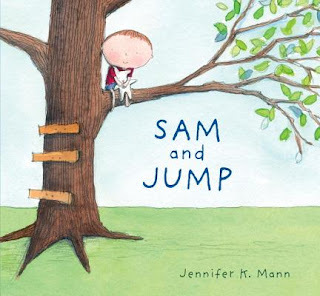 Happy book birthday to SAM AND JUMP by Jennifer K. Mann! Jennifer Mann has a brand-new picture book, SAM AND JUMP! SAM AND JUMP is an adorable book that tenderly captures the very big emotions that go along with having (and losing!) a beloved stuffy and making a new friend. Don't you love the cover? "Best friends" who "do everything together," Sam, a white boy, and his stuffed rabbit, Jump, go to the beach, where they meet a black boy named Thomas. They play together all day. When he gets home, Sam realizes he's left Jump at the beach. His mother promises they will return to the beach in the morning, but Sam can't eat dinner or enjoy his bedtime story and spends the night imagining terrible things happening to Jump. In the morning, Sam can't find Jump anywhere at the beach and "nothing was fun" without him. Then Thomas returns carrying the missing Jump, and all's well. Sweet, endearingly simple illustrations created with pencil, watercolor, and "digital magic" judiciously use white space to focus attention on inseparable Sam and Jump sharing tea, soaping up in the tub, and sitting side-by-side on a tree branch and in an overstuffed chair. Following Jump's abandonment, murky, blue-gray backgrounds emphasize Sam's sadness, isolation, and fear, while Sam's solitary figure on the beach echoes his loneliness and loss, reprieved later in the silent hug of his reunion with Jump. Kids with their own favorite toys will identify with this gentle, tender tale of Sam and Jump's special bond. Jen had a launch party at Secret Garden Books in Ballard, Washington, on May 10, the day SAM AND JUMP hit bookshelves. Sand dollar cookies, cupcakes, and beachballs made things extra festive while guests celebrated the big day with Jen. This is a pic of a few SCBWI-ers at the event: (left to right) Jennifer Longo, Jennifer Mann, Dana Arnim, and me. Today was another launch party, this one at Eagle Harbor Book Company in Bainbridge Island, Washington. Another launch party means more fun book talk, treats, and guests! Something that makes that last photo extra special to me is it holds all of my critique partners and me in one shot! I'm in one critique group with Jen and Margaret Nevinski, and Faith Pray and I have our own two-person critique group. When a critique partner has a book come out, something you witnessed in its first stages of life--early words and, if a picture book, early sketches--it's so huge and exciting! Hurray! Happy birthday, SAM AND JUMP! Jennifer, congratulations on your new and beautiful book! Now it's your turn! 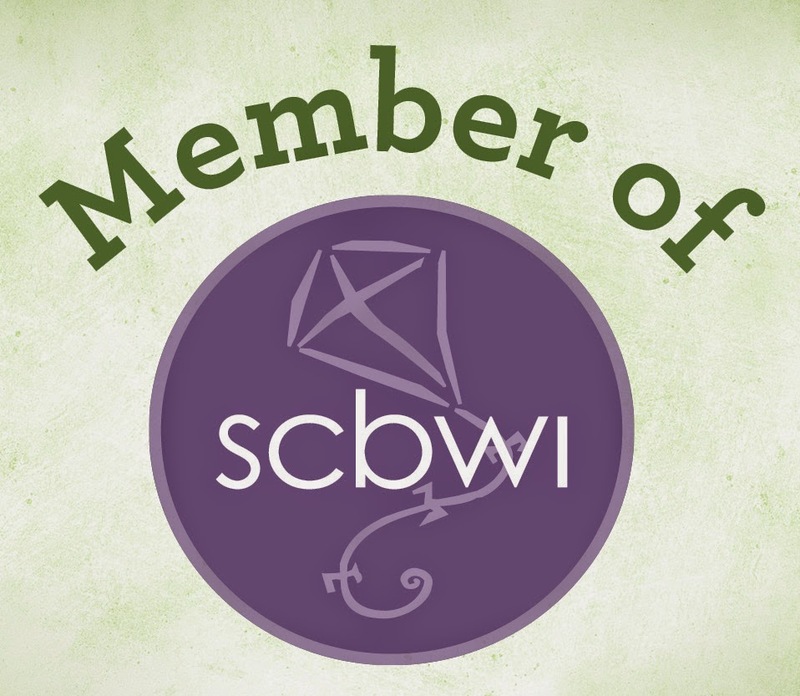 Are there any new books you're excited about? Tell me, tell me, tell me!